Born as an after-school music education program for girls ages 7 and older, The Philadelphia Girls Choir is designed to instill confidence, responsibility and achievement through music. The choir takes a holistic approach to choral music that relates musicianship and performance to the broader human experience. Cultural diversity and personal development are essential elements of Philadelphia Girls Choir training. The program utilizes the Kodály Method, an internationally recognized musical education concept for children, which is based on the idea that we should first learn to love music as human sound and as an experience that enriches life. Founded in 2012, The Philadelphia Girls Choir began with 18 singers and has grown to include nearly 200 girls who comprise three ensembles—Etude, Cantata and Concerto. After auditioning, girls who are invited to join the choir are assigned to an ensemble based on age, allowing each group to receive specific training through rehearsals and lessons. Beginning with the basics of music theory and performance, singers progress over the years to learn more about vocal technique through challenging repertoire. All programs include public performances, at locations such as the National Constitution Center and the Kimmel Center for the Performing Arts. Additionally, our most advanced choir, Concerto, performs in the Pennsylvania Ballet’s Nutcracker. Each program year culminates in a celebratory joint concert for family & friends. The Concerto program also travels internationally for a yearly summer tour. The combination of performances and cultural experiences helps to reinforce the core concepts of the Philadelphia Girls Choir, based on gaining a deeper understanding of ourselves, our community and our world. 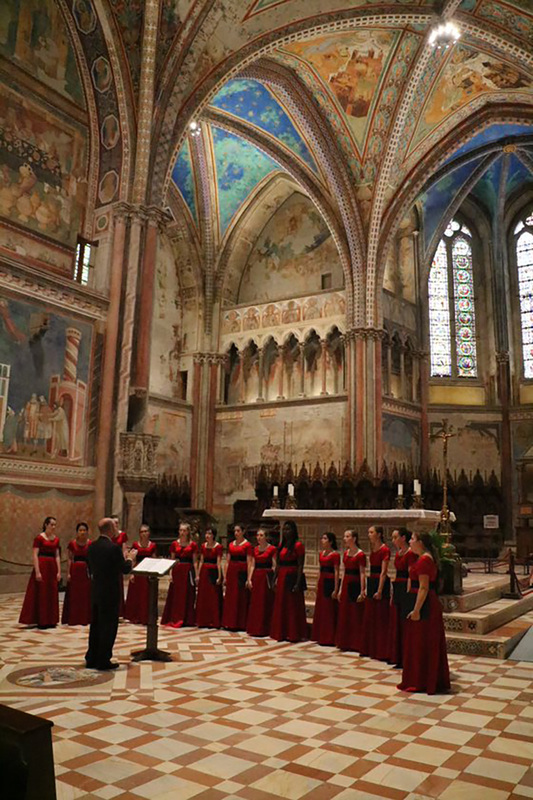 Some previous tours have taken the choir to Italy, Austria, Ireland, the Czech Republic, Poland, Belgium and the Netherlands. The choir’s brother organization, the Philadelphia Boys Choir & Chorale, was founded in the 1960s.